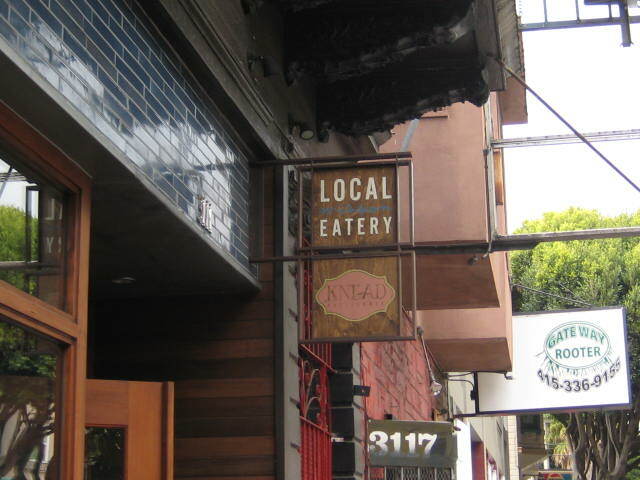 While watching the Cooking Channel, I saw Knead bakery, found in the Mission District, being featured as the place to go when you are in San Francisco. While Karla and I were there, I made sure that we went there for a fabulous brunch. It was just a short bus ride away from Fisherman’s Wharf. 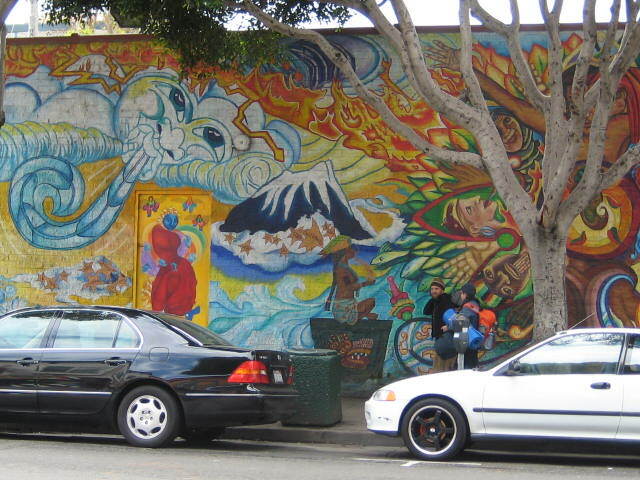 The Mission District is full of culture and plenty of interesting sights to see. Check out this mural. Just one of many found on building walls. Knead was tucked away on a side street surrounded by a world of culture. This eatery is a place your order at the counter and they will bring it to your table sort of place, which creates a perfectly relaxed atmosphere for diners. 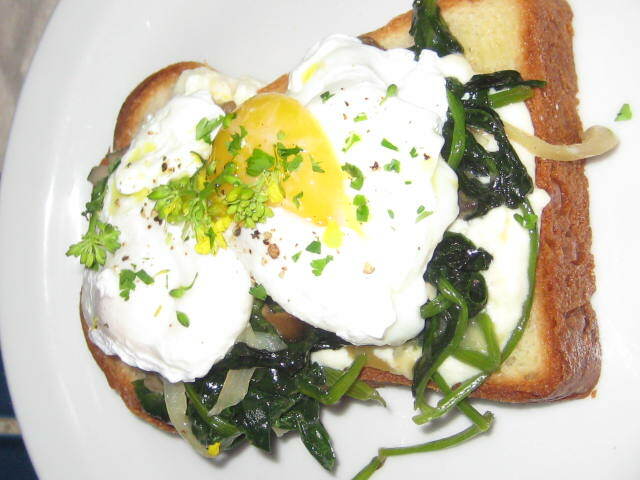 Karla and I both had the spinach and eggs on brioche, which was out of this world. Then of course, I had to have the Pomme d’amore which was the main feature on the Cooking Channel episode that I watched. I was not a disappointment at all! 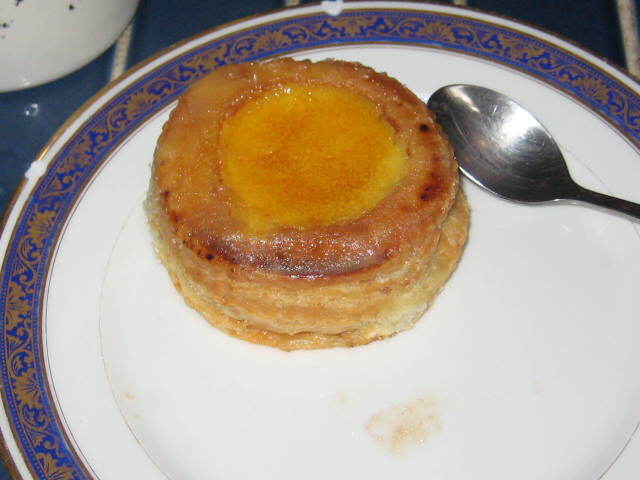 The crispy pastry crust created a pillow in which the egg custard filling could nest. The top of the custard was protected by a thin layer of crispy sugar which was texturally delightful with each bite. This place is a must when you are in San Francisco!